I had a pretty neat Saturday a couple weeks ago. On a regular old Friday night, I grabbed the unread newspaper from 2 days prior to that. Because I’m one of those really cool people that reads old newspapers on Friday nights. If you can’t handle the excitement, I understand. 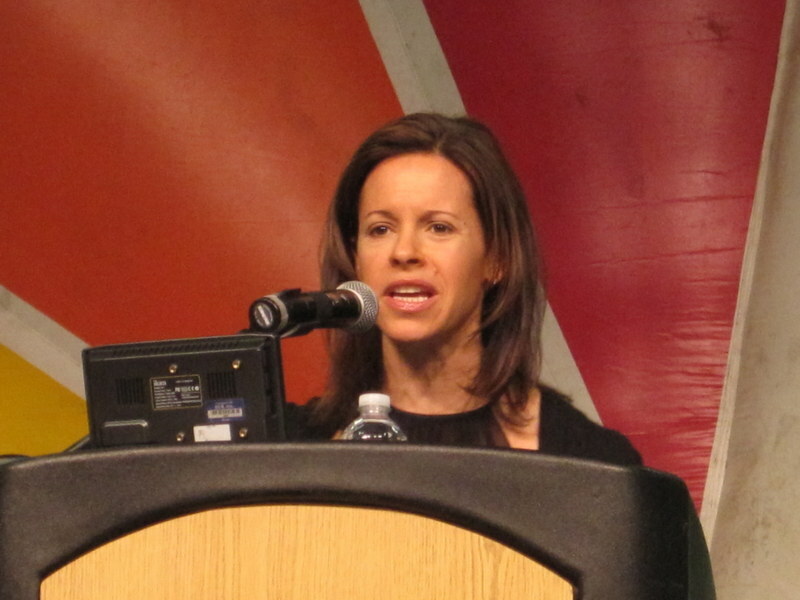 Half way through the paper, I see a picture of Jenna Wolfe. I have actually only recently in the last year even ever heard of her. But since I have, I’ve been following her website, facebook and public appearances like any good little stalker should. Here’s the kicker, she was going to be in the Quad Cities the very next day! 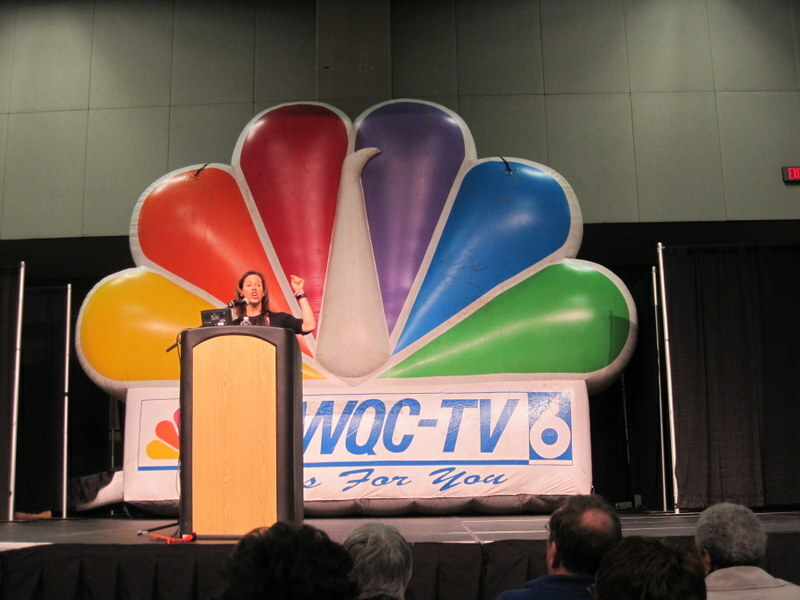 She was going to be the main speaker at the Women’s Health and Lifestyle Fair in Davenport, IA at the RiverCenter. How often does this happen? Not very! So even though Ashlyn would be with me all day, I felt like crap and was tired from having a cold….I was going no matter what. So Ashlyn and I grabbed my Mom and off we went. Wondering why on earth I haven’t heard of the Women’s Health & Lifestyle Fair before. Wondering how many great speakers I’ve missed in the past. My Mom informed me this was their 25th year of having it. Ah that explains it ! It’s only been around for a measly 25 years!! Jeesh. I guess that’s where staying home on Friday nights gets me. The whole shindig is put on or sponsored by or whatever the correct word is, by KWQC. So Paula Sands was there. Which is neat and weird to see your local “TV people” for real. 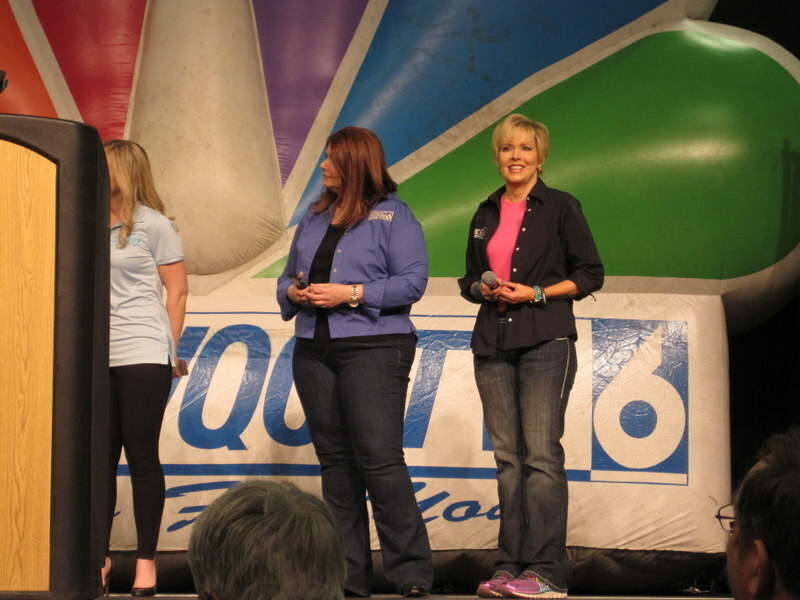 All the other KWQC cast taking questions from the crowd, coming out from behind the TV screen “for real”. 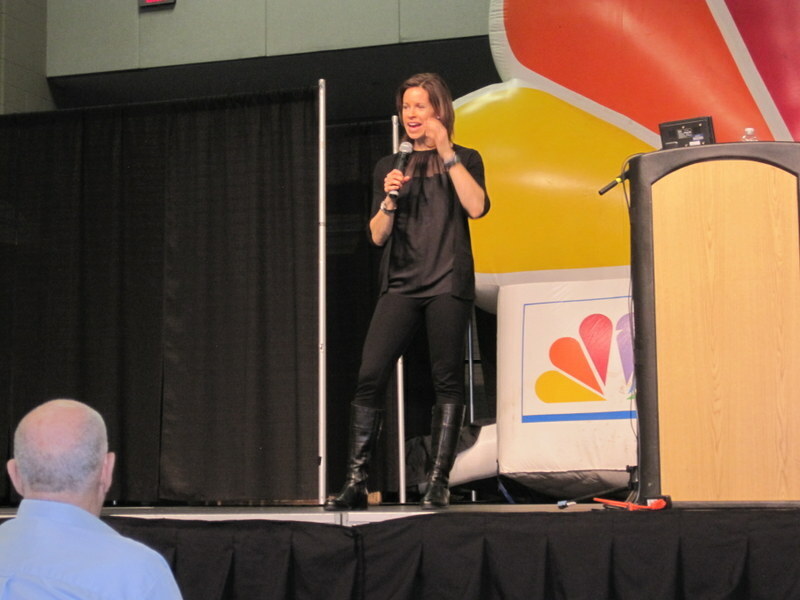 Then the celebrity guest speaker Jenna Wolfe came out and took the stage. She talked and took questions for about an hour. The facts…she used to be the lifestyle and fitness correspondent on NBC’s Today Show. And a sportscaster prior to that I believe. Now she’s a certified personal trainer, health and wellness expert. Why I like her…..she’s normal and real for giving advice to the everyday average busy person. What I mean is, she gets it. She gets everyone is busy. But not busy enough to not make your health a priority. She’s not going to tell you that you have to sign up at the gym, spends hours doing this or that, benching 10,000 lbs, taking all exercise classes you can. Because it’s not realistic for the average person. And everything out of her mouth is what I think and believe in also. Her tips are real and doable. She’s putting it all out there. It’s up to you, to actually do them. You don’t need to spend a penny if you don’t want. You can squeeze mini workouts and exercises in whenever you have time. 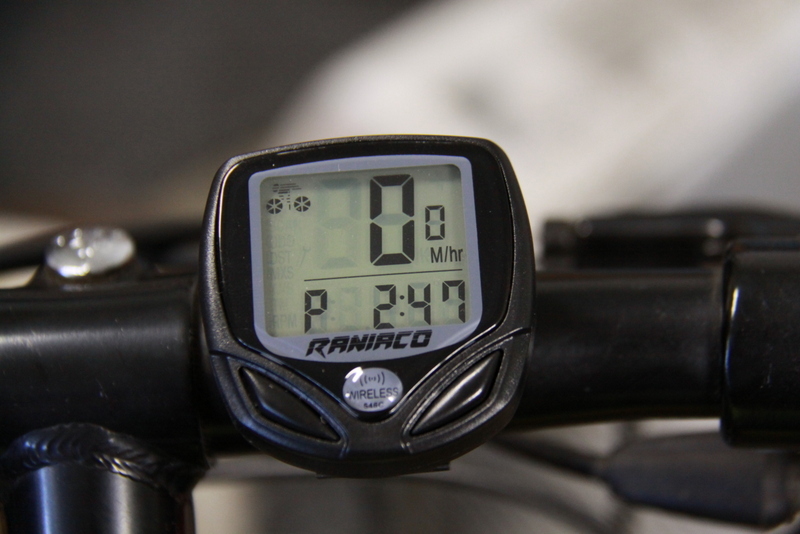 Little things that add up to big changes over time. 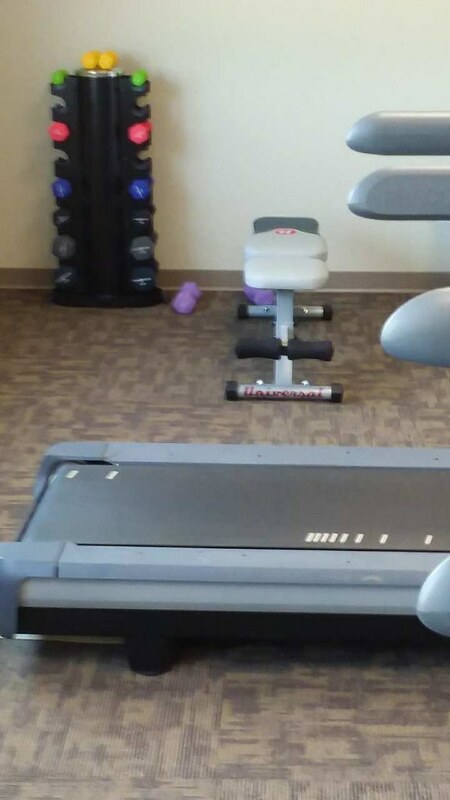 You think you don’t have any time left for exercise. But it’s all in your head because others make us think unless you can fit an hour in here or 2 hours there…it’s useless. You missed your time slot. But that’s not true. 5 minutes here, 3 minutes there, while your on the phone, or waiting for water to boil, or whatever whenever you think of it, do a few of anything. Jumping jacks, toe raises, arm circles, countertop push ups, anything. And it all adds up at the end of the day. And you haven’t spent a penny, but you gained a lot. Doing something is better than nothing. Her book tells so much more, called Thinner in 30. She’s very inspiring for reminding you what you already know to do. I’ll be getting her book soon to learn more of her great tips and tricks. I was so glad we went even though I didn’t feel to hot. Guess I’ll start going now that they are already 25 years into it. Wish I could have met Jenna and gotten my picture with her, but it was still really neat to go and snap a few picture’s during her speech. 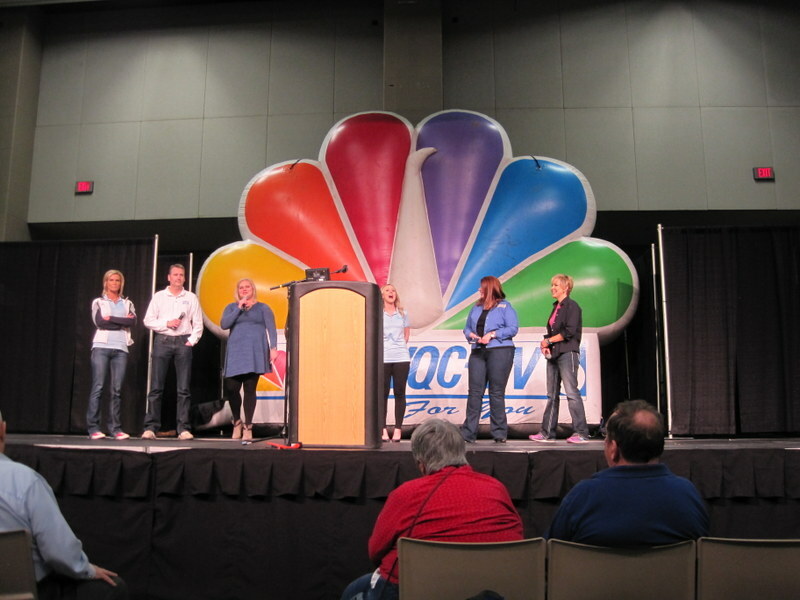 They also have cooking demonstrations by Hy-Vee and health and wellness demonstrations by Genesis Health System. A ton of vendor booths featuring fashion, fitness, home decorating, health and wellness, financial, food and cooking, entertainment and many more. I did not see a Shaklee booth there. Maybe I should take care of that in the future. Speaking of Hy-Vee. They had something going on that had a line out the ying-yang!! I mean snaked through, all around, out the door, all around again. We were not able to, nor did we want to wait in a line that long. But we are dying to know, what in the hell was at the end of that line? Samples along the way? What was it? Please leave in the comments section if you went and know. FYI – You get a lot more free stuff from these booth’s if you have a cute little shy smiling kid with you. Have you ever got to meet or see in person your favorite celebrity person? 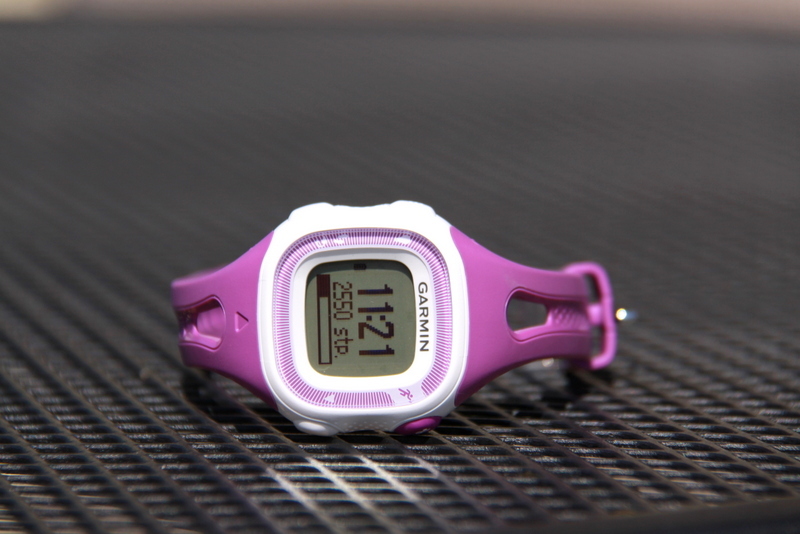 Morning, Afternoon or Evening Exerciser ?